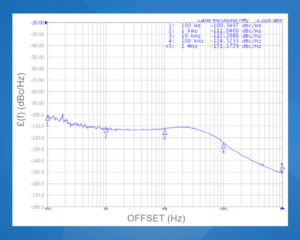 Fixed Frequency Synthesizer: SFS0640A-LF Features Ultra Low Phase Noise | Z-Communications, Inc.
Z-Communications, Inc. announces a new RoHS compliant Fixed Frequency Synthesizer model SFS0640A-LF in the UHF frequency. The SFS0640A-LF is a single frequency synthesizer that operates at 640 MHz with an external 10 MHz reference and features a typical phase noise of -100 dBc/Hz, -105 dBc/Hz, and -124 dBc/Hz at the 1 kHz, 10 kHz and 100 kHz offsets, respectively. The SFS0640A-LF is designed to deliver a typical output power of 0 dBm with a VCO voltage supply of 5 Vdc while drawing 25 mA (typical) and a phase locked loop voltage of 3 Vdc while drawing 9 mA (typical). This Fixed Frequency Synthesizer features a typical 2nd harmonic suppression of -13 dBc and spurious suppression of -70 dBc. It is housed in Z-COMM’s standard PLL-V12N package measuring 0.6 in. x 0.6 in. x 0.13 in. The SFS0640A-LF is also ideal for automated surface mount assembly and is available in tape and reel packaging. SFS0640A-LF is an excellent choice for test station and wireless radio applications, and is specified for operation over the industrial temperature range of -40 to 85°C.